Frontier Touring and Arena Touring are thrilled to confirm five-time Grammy award winner and soul icon Dionne Warwick is returning to Perth’s Riverside Theatre on 2 November. Warwick will perform a number of iconic songs from her extensive 50-year career. Over the course of her years in entertainment, Warwick has established herself as an internationally renowned performer with her incredible blend of pop, R&B, gospel and soul. She is a regular fixture on the charts with 75 hit singles and having sold more than 100 million records, Warwick’s remarkable vocals and catchy melodies resonate with audiences across the globe. Warwick began her professional singing career in 1961 when she was discovered by songwriters Burt Bacharach and Hal David. Together over the course of a decade they released almost 20 best-selling albums and more than 30 hit singles including Walk on By, A House Is Not A Home, and Say A Little Prayer for You. Known as the artist who ‘bridged the gap’, Warwick’s music transcended racial boundaries and she was the first of her peers to have a dozen consecutive Top 100 singles as well as to perform for the Queen of England. Warwick’s second decade of hit songs began in 1970 when she signed to Warner Brothers Records. Together with producer Barry Manilow, she released her first platinum-selling album Dionne which included Grammy award-winning singles I’ll Never Love This Way Again and Déjà Vu. Her successful career continued in 1982 with the release of chart-topping album Heartbreaker co-produced by Barry Gibb and The Bee Gees and in 1985 she reunited with Burt Bacharach and long time friends Gladys Knight, Elton John and Stevie Wonder to record the landmark song That’s What Friends Are For. Warwick celebrated her 50th anniversary in entertainment in 2013 where she marked the occasion with the release of her album Now. As one of the most successful performers of our time, Dionne Warwick is a true star and her Perth show on Friday 2 November at the Riverside Theatre is not to be missed – secure your tickets now to avoid disappointment. Bookings www.ticketek.com.au or call 13 28 49. 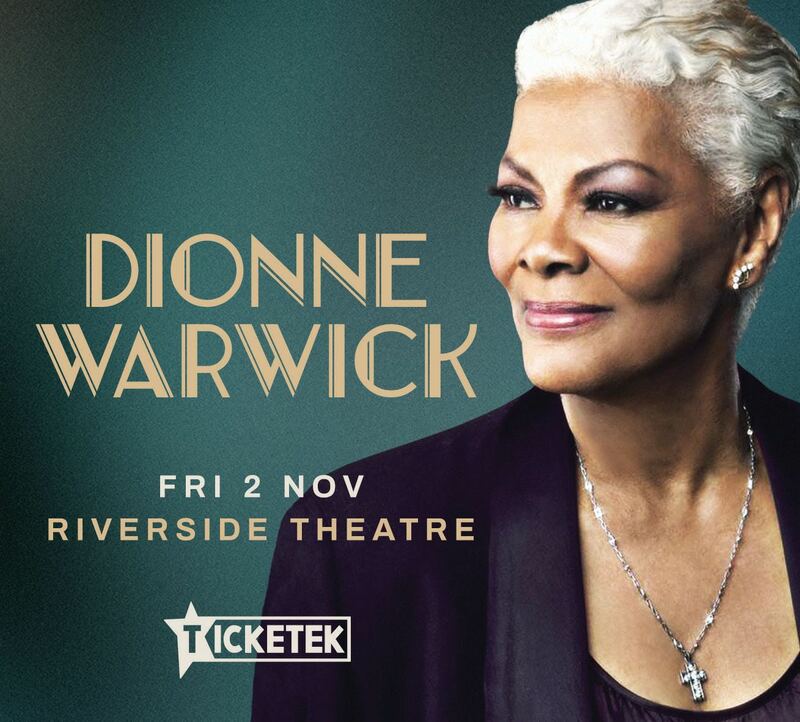 We have a special treat for readers this month for two lucky people to win a double pass to see Dionne Warwick in Perth on 2 November. The winners will enjoy gold tickets valued at $149.90 each. To be in the draw simply fill in the form below or write to Dionne Warwick c/- Have a Go News PO Box 1042 West Leederville 6901.